Charles J. Sclafani, Jr., was born in Boston, Massachusetts and has been a resident of Western Massachusetts since 1981. He is a graduate of the Peabody Veterans Memorial High School, Peabody, Massachusetts, the University of Massachusetts in Amherst and the Western New England University School of Law. 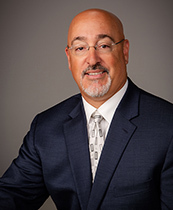 He initially practiced law with the Springfield, Massachusetts law firm of Weitz & Sclafani from 1988 to 2002 and with the firm of Johnson, Sclafani & Moriarty in West Springfield, Massachusetts from 2002 to the present. He also served as Town Prosecutor for the Town of Agawam from 1989 to 1994 and as Associate Solicitor for the Town of Agawam from 1989 to 1998 and from 2008 to 2010.